The Salzburg Festival in Austria is a more established classical music event on the European circuit. But the George Enescu Festival has been quietly but surely making a name for itself, helped by its general manager Ioan Holender, the Romanian-born musician who directed the Vienna State Opera from 1992 to 2010, and who for years has been trying to make Enescu`s music better known around the world. "The mighty Salzburg Festival now has a rival,"` stated a bold headline in the Manchester Guardian in September 2007. But for a festival lasting nearly a month, with the world`s finest musicians and orchestras performing day after day it remains astonishingly little-known internationally. Born in the village of Liveni in northern Romania to a family of 12, Enescu received his first lessons from a Roman fiddler. At seven he entered the Vienna Conservatory, graduating with distinction at the age of ten as an acclaimed violinist. He then moved to Paris when the communists came to power in Romania. The festival has come a long way since its humble beginnings, when the communist regime honoured a composer it had driven into exile and to an early death in Paris in 1955. In 1971 the biennial festival was banned by the regime and was not resurrected until after the downfall of dictator Nicolae Ceaușescu in 1989. 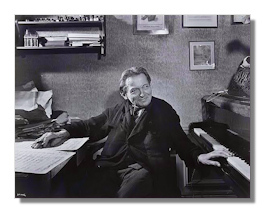 The festival always begins and ends with an Enescu composition and most concerts include at least one Enescu piece. Not surprisingly 26 Enescu compositions were heard this year, since the main aim of the festival is the preservation of Enescu`s music. Most interestingly some lesser known and unusual works were also included. Among these were Enescu`s Suite #3 (Villageoise) in D Major, Op. 27 played by the National Philharmonic Orchestra of Russia under the baton of Vladimir Spivakov. The National Academy of Santa Cecilia Orchestra and Chorus with conductor Antonio Pappano and Romanian tenor Marius Vlad Budoie performed the little known Symphonic poem `Vox Maris`, Op. 31, a composition on which Enescu worked for over 15 years, and which he only finished in 1949. The splendid Octuor for strings, Op. 7 (composed in 1900) was performed by the Harmonious Chamber Orchestra of Osaka, conducted by Otomo Naoto. This piece revealed Enescu`s unique use of polyphony and counterpoint and was considered too modern in Paris in 1909 when it was first performed. In the first of their two concerts the Munich Philharmonic under Semyon Bychkov performed Enescu`s Concertante Symphonic for cello and orchestra in B minor, Op. 8. The Lucerne Symphony Orchestra and Romanian Chamber Chorus Preludiu performed the Symphonic Poem Isis, drafted by Enescu in 1923 at the age of 42 but left unfinished and completed posthumously by Pascal Bentoiu, a Romanian composer and musicologist. The Camerata Salzburg with Louis Langree included Enescu`s Intermezzi Op. 12 in their concert. Among Enescu's less popular works is the opera Oedipe, Op. 23, the work that consumed the composer for over a quarter of a century, performed by the Bucharest National Opera and Orchestra. Enescu began drafting the opera in 1910 at the age of 29 but did not complete it until 1935 when he was 54 years of age, a year before its Paris debut. But today the opera is not performed often outside Bucharest by major opera companies. It has in fact been called one of the least performed masterpieces of the 21st century. In addition to these lesser known Enescu works, some of the better known pieces were also included. The opening concert included Enescu`s Romanian Rhapsody #2 in D Major Op. 11 (which was written when the composer was 20 years old) and was played by the prestigious Staatskapelle Berlin under the baton of Daniel Barenboim. The Orchestra de Paris with Estonian conductor Paavo Järvi conducting played Enescu`s Symphony #1 in E Flat Major, Op. 13. The Academic Choir of the Russian National Society, performed Enescu`s Symphony #3. The Royal Stockholm Orchestra played Enescu`s Suite #2 in C Major Op. 20. Others who played were the Munich Philharmonic under Simon Bychkov, the London Royal Philharmonic Orchestra under Vladimir Jurowsky (Cristian Mandeal), Camerata Salzburg with Louis Langrie, the Concertgebouw Orchestra of Amsterdam under the baton of Mariss Jansons, Academy of St. Martin-in-the-Fields with Neville Marriner, the Academy of Santa Cecilia with Antonio Pappano and the splendid Hesperion XXI and La Capella Reial de Catalunya with its conductor and viola da gamba player Jordi Savall. The opening concert had Daniel Barenboim conducting the Berlin Staatskapelle with the Romanian-born pianist Radu Lupu. "Ènescu was a wonderful violinist, pianist and composer. Perhaps his problem as a composer was that he was too modern for the conservatives of his age and too conservative for the modernists,"said Barenboim. Among the soloists were the young American violinist Hilar Hahn, the legendary Russian pianist Evgeny Kissin and his Romanian colleague Radu Lupu, the Greek violinist Leonidas Kavakos, the brilliant American pianists Murray Perahia and Emanuel Ax, the Russian violinist Maxim Vengerov, and the young Siberian violinist Vladimir Repin. Chamber music was also on the program performed by Fabio Bondi and his early music ensemble, Europa Galante, and Pinchas Zukerman with his trio. There were at least three concerts a day in the main venues centered on Enescu Square. The largest of these is the Sala Mare a Palatului (Palace Hall) a vast auditorium seating roughly 4000. The most charming site is a neo-classical rotunda known as the Ateneul Roman (Romanian Atheneum) whose auditorium resembles a lavish sky decorated with a red, gold and blue plasterwork ceiling which seats about 1000. In Wagner`s anniversary year, Wagners Ring Cycle has had many performances. One of the earliest was Daniel Barenboim`s concert version at the BBC Proms last spring. The complete Ring cycle in concert form was performed in Bucharest for the first time during this year's festival with Marek Janowski and the Berlin Radio Symphony Orchestra. On 15th September we heard Das Reingold with Egils Silins as Wotan, Marius Vlad Budoin as Froh, Martin Winkler as Alberich and Elisabeth Kulman as a sympathetic Fricka. The following day, there was a beautiful performance of Walkuere, with Torsten Kerl as Siegmund, Melonie Diener as Siglinde, Egils Silins as Wotan, Petra Lang as Brünnhilde, and Elisabeth Kulman as Fricka. On Sept 19 Stefan Vinke sang the lead in Siegfried, with a brilliant performance as Alberich by Martin Winkler. The last of the four Wagner performances Götterdämmerung was given on September 22nd with Stefan Vinke as Siegfried, Valentin Vesiliu as Gunther, Martin Winkler as Alberich and Petra Lang as Brünnhilde. But the main intention of the festival was to promote the work of Romania`s greatest composer, George Enescu, particularly among international audiences. A number of international orchestras left with at least one of Enescu`s works in their repertoires- pieces that can find their way into concert programs abroad. The hope is that having learned Enescu's music the musicians will continue to perform it elsewhere. The music of Enescu, a pupil of Fauré and Massenet, is worth knowing well. Copyright © 2014, Elizabeth Schotten Merklinger.